A year and a half ago, I decided to start a Masters of Business Administration (MBA). I looked at options around Europe, but discovered the best choice for me was here in Belgium. Today I’ll tell you why Belgium should be at the top of your list for an MBA. Not everyone has the opportunity to work abroad, but education is an alternate path to an international business experience. By doing your MBA abroad, you are exposed to a diversity of cultures and business practices, which are increasingly important for today’s employers. International – every nation is represented here. With the EU, NATO, SHAPE, all the multi-national companies, and just about every NGO represented here, Belgium is the centre of international business and politics. People come from all over the world to live and work here, even if only for a few months. Multilingual – Despite the news about the language divide, the truth is three quarters of the population speak at least one foreign language (Vacature, 2008) and half speak three languages. This is a strong competitive advantage making it easier for foreigners to live and work here. Wide range of employers – The mix of multi-national, governmental and non-governmental organizations provide students with many possibilities for post graduation employment. Affordable – Belgium is one of the more affordable countries in Europe to live and the MBA programs are some of the best value-for-money around. Food – Diversity of people means a diversity of food. There are more Michelin-starred restaurants in Belgium per capita than France! You can travel the culinary world without leaving the country. In short, Belgium has a good quality of life and, according to the OECD’s Better Life Index, has the 2nd best work-life balance. There are a number of MBA options in Belgium, but I will only focus on the accredited programs. Accreditation means the MBA meets certain criteria that are recognized internationally. There are three certifications that matter: EQUIS, AMBA, and AACSB. An accredited program is important to both students and employers because it is an independent view of the program’s quality and consistency. The two most popular accredited programs in Belgium are at Solvay Brussels School of Economics & Management (Solvay) and Vlerick Leuven Gent Management School (Vlerick). Solvay and Vlerick both offer full-time (1 year) and part-time (2 year) programs. The full-time program is intensive and is meant for people who have taken a leave from work to focus on their studies. Classes will be during the day, evenings, and possibly weekends. The part-time program is structured for people who are working full-time and need to balance their work and family commitments with studying. Classes are typically held in the evenings and weekends and the course load is less intensive. There are also accredited Executive MBA (EMBA) programs at Vlerick, Louvain School of Management and Antwerp Management School. An executive MBA, by contrast, is usually done in intensive ‘modules’ where you commit to several intensive weeks together, over a year, as well as some weekends. This is set up for people who need to know their schedule ahead of time. Through these questions, you need to find a program that suits your schedule: Want weekends free? Able to go to class on a Tuesday afternoon? Need to block out specific times so you can plan your schedule? It may also depend on where you want to focus your studies. 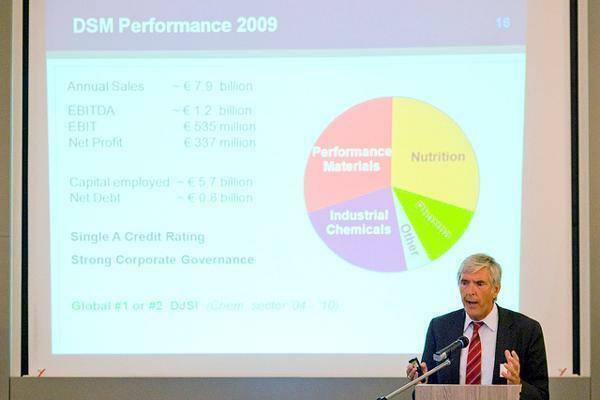 For instance, Solvay has a solid reputation in Finance and Economics, while Vlerick specializes in Innovation and Entrepreneurship. This is not to say they are lax in other areas, just that each school has its strengths. Rankings are also worth considering, the most important of which is published yearly by the Financial Times. In the latest FT rankings, Vlerick ranked #70 in the Global MBA rankings and #90 for their EMBA. Meanwhile, the Antwerp Management School ranked #50 for their EMBA. Unfortunately Solvay doesn’t make the rankings, because of their small class size (there must be at least 30 students who respond to the survey). When I was researching my MBA, I started out by attending a few Access MBA events. There I had a chance to meet people from different schools in Belgium and around Europe. It helped me understand the options available, especially as someone who is not from Europe and isn’t familiar with the schools. It also helped me determine what type of program I was looking for: a part-time MBA. I looked at the Financial Times MBA rankings to get a comparative sense for the programs, but I didn’t really find it useful. I wanted to do my MBA in Belgium and didn’t want to travel to Paris, London, Rotterdam, or elsewhere. So I did some additional research on Solvay and Vlerick to understand their programs. Finally, I attended info sessions from Solvay and Vlerick to get more information about each program. Of course, your reasons will differ from mine. I’m in my 2nd year now at Solvay and am enjoying the classes, my colleagues, the MBA staff, and the professors. I prefer the smaller, intimate classes because we get a chance to work together and get to know each other. Likewise, we’ve gotten close to the MBA staff and professors, building relationships, which will last, I hope, beyond the program. 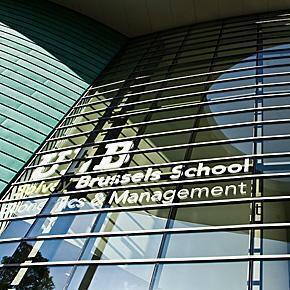 Have you embarked on an MBA in Belgium? What program did you choose and why?